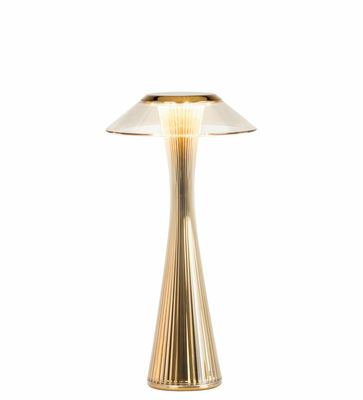 An elegant and modern style for this pretty table lamp… Space was created by the designer Adam Tihany, who was inspired by the architecture of the famous Seattle "Space Needle". This gigantic tower, created especially for the universal exhibition of 1962, has a platform that looks like a flying saucer and culminates at over 180 metres high. Space therefore sports geometric and futuristic lines similar to this tower. 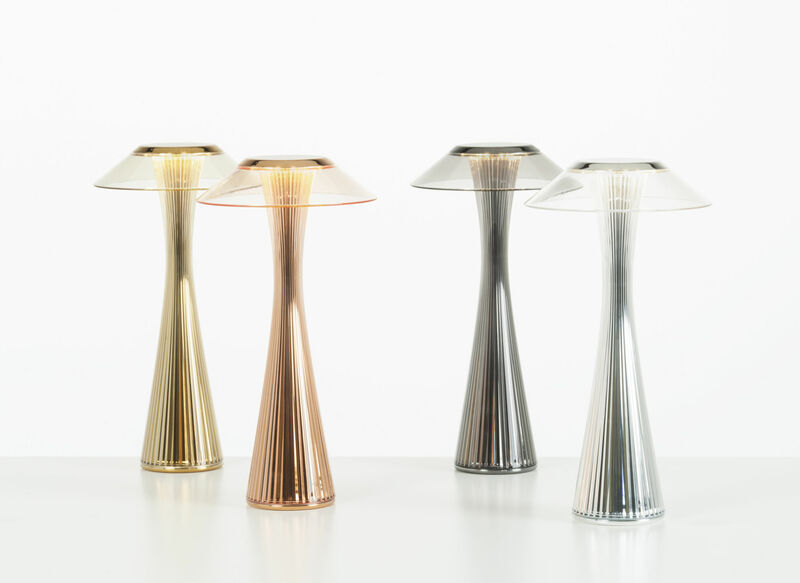 It is made up of a large rounded and striated structure, available in diverse metallic finishes: gold, copper, chrome and titanium. It becomes narrower towards the top before expanding again under a wonderful transparent shade, overlooking it all, like the "Space Needle" which overlooks the city of Seattle. 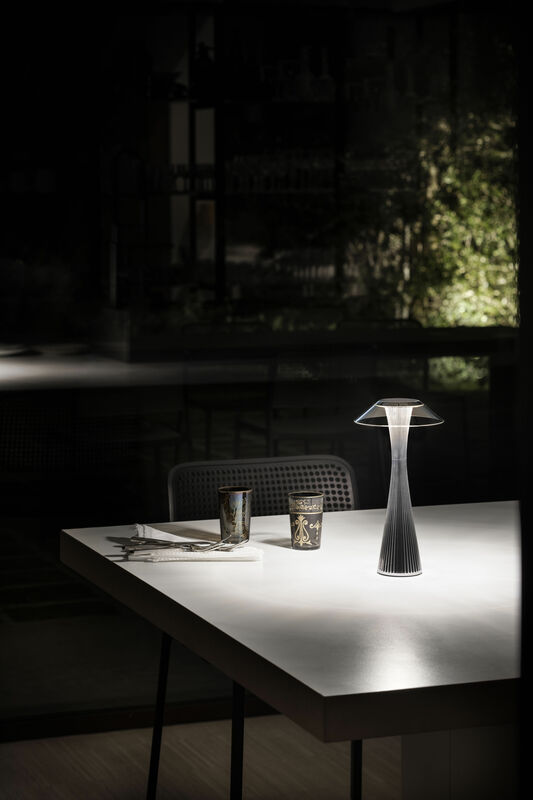 In addition to its singular and unique design, Space can also boast that it is a portable lamp: light and rechargeable via a simple socket. This very practical lamp has an 8-hour battery life which lets you transport it easily, according to your needs. What's more. it will go equally well inside and outdoors. Ultra modern, you just need to brush against the top part of the shade to turn it on. It will provide a diffuse light, ideal for a warm and relaxed mood, wherever it is!